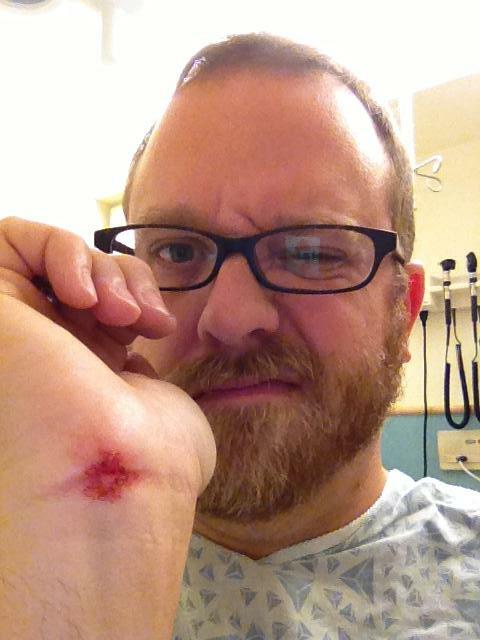 A few weeks ago, I wiped out on my scooter. (Yes, I ride a scooter.) Luckily, the worst of it, apart from the severe bruise to my pride, was scrapes my wrist and knee when I landed in the street. They were painful at first, but have healed pretty quickly and well. It’s been fascinating, though, to watch my skin go through the process of wound healing, seeing things change a little bit day by day as my body has reconstructed the torn skin. In those weeks the skin of my knee and wrist has been a stage for a highly choreographed dance of cells and molecules. The dance can differ depending on whether you have a minor cut or scrape (like me), or something more serious like a severe burn or surgical wound. But regardless, the dancers must always move together in time in a complicated series of interwoven steps. Should one dancer step out of line, the whole dance could end in confusion instead of harmony. For minor cuts and scrapes like mine, it’s a dance with four major parts: hemostasis, inflammatory, proliferative, and maturation or remodeling (some sources drop the hemostasis phase, lumping it into the inflammatory, but I’ll keep it in). During each part, different dancers come and go and as their steps require. Mast cells unleash histamine to help open up blood vessels and signal for other inflammatory dancers to come to the fore. Neutrophils clean out dead or damaged tissue, eat any debris that’s gotten into the wound, and fight off any bacteria that are trying to cut in, all while calling in more of themselves and their dance partners to the wound. Macrophages eat the neutrophils once they’ve done their job to make sure they don’t linger longer than necessary, while they release factors to that call in other dancers to grow new blood vessels (a process called angiogenesis) and start to build the new skin that will come. 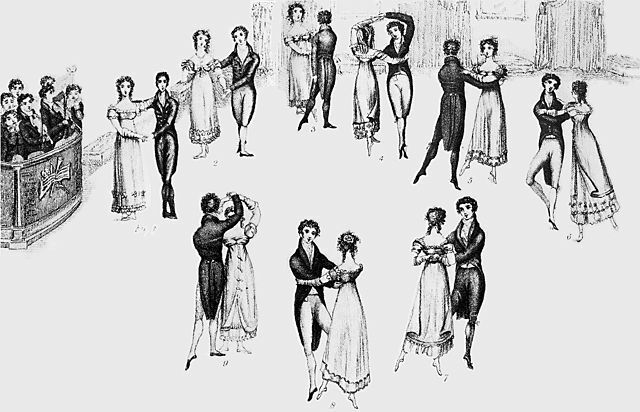 Next comes the grandest part of the dance — the proliferative phase. Here the dancers must take most delicate care: should they fall out of step, a scar will form. On cue, cells called fibroblasts swarm the stage, laying down layers of primitive connective tissue and collagen matrix to which new skin cells can adhere as they migrate and grow. Together with enzymes called collagenases, the fibroblasts enter a kind of round: the fibroblasts lay down new matrix, collagenases break it down. They go round and round, making sure that enough collagen matrix is there for the job to be done, no more, no less. The healing wound becomes the focus of intense but coordinated activity. The scab builds up, shielding the dancers from the outside while they perform their steps. New blood vessels continue to permeate the building tissues. New skin cells called keratinocytes sweep in from the edges of the wound, climbing over each other to form the beginnings of new skin, eventually meeting in the middle. New hair follicles and sweat glands start to form. The keratinocytes release enzymes that dissolve the clot, scab, and any debris left over from earlier stages of the dance. While all this is taking place, muscle-like cells called myofibroblasts appear on stage. Their steps: To latch onto the edges of the wound and tug on them, making the wound smaller and smaller. Finally, a sense of calm comes over the dance: the maturation phase has begun. Many of the dancers exit (meaning particular cells stop producing certain factors and either migrate away or die, their remains eaten by macrophages), leaving only those needed to lay down new collagen and give the new skin new strength. No longer needed, many of the blood vessels that have been feeding the dancers are closed off and destroyed. The scab that formed during the proliferative phase falls off, exposing pink new skin that will continue growing for up to a year or two until it matches the surrounding skin, ideally with little to no scarring. Every time you get a cut, scrape or scratch yourself, the dance begins, fueled by the music of proteins and genes. It’s a delicate dance — you can see how many places there are where the dancers can lose their rhythm or miss their cues and have the whole thing fall apart. The different dancers have to come, go through their steps, and go at the right time for the dance as a whole to maintain its choreographed order. If there is too much of one protein, or if a type of cell lingers longer than necessary, the rhythm can be lost. Road rash on my wrist. The big ones were on my knee. Despite all we know about how wounds heal, it’s still a hot area of research because in a lot of people the dance does break down, like in people with diabetes (who tend to have difficulties in healing wounds), or who have undergone major surgery, or who have had traumatic injuries or severe burns that could result in major scarring or disfigurement. The more we understand how the dance is supposed to flow, the more we can do to help the dancers stay in rhythm and for the dance to flow to its choreographed conclusion.